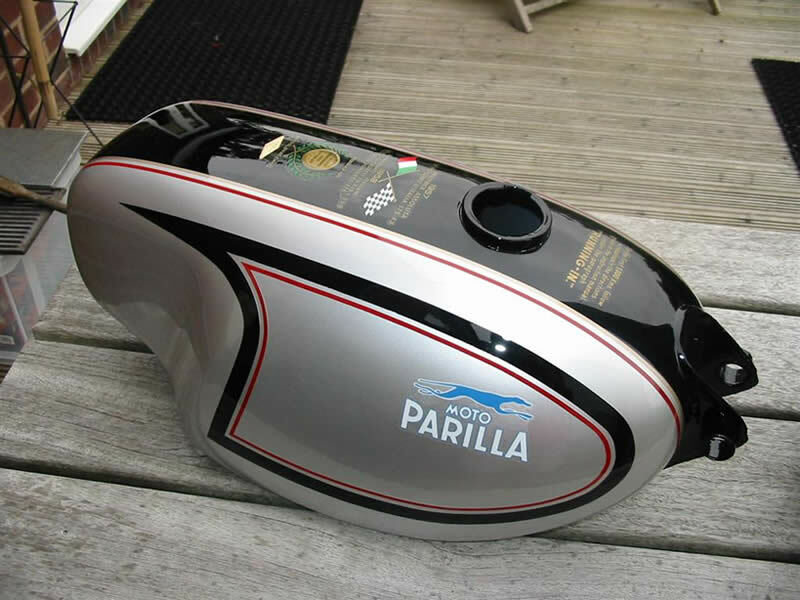 My first Parilla back in 2001 was bought to take part in the Motogiro D’Italia. Originality was secondary to function & after the first years experience with the caustic nature of the Italian petrol on paintwork it seemed pointless to waste my time with cosmetics until such a time as its use in the Giro was at an end. For reasons more to do with the direction the Giro has taken under the organisation of DE/Ducati than any lack of enthusiasm on my part I decided to “retire” the MSDS last year & get on with restoring it to as near to original as possible whilst retaining the reliability of modern electrical components such as the Vape CDI. My MSDS came with a set of non standard forks , some say Ducati, with alloy sliders & 32mm stanchions. 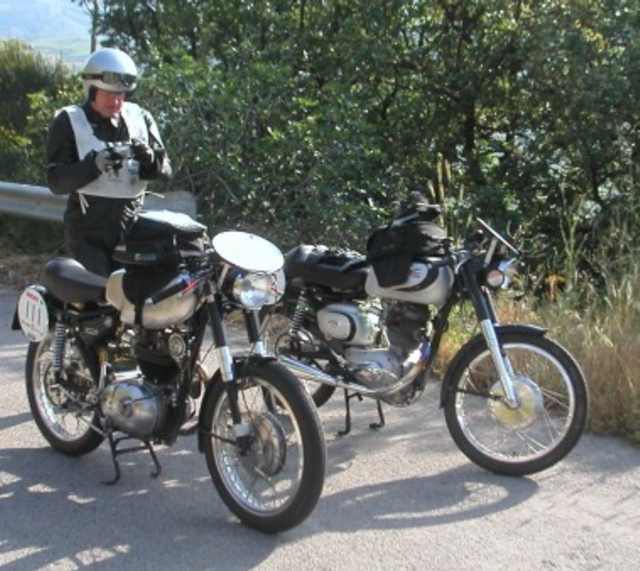 The damping action was great (dare I say better than the OE set now fitted) & they rode well but I wanted the original 35mm equipment on there with logoed clipons, correct headlight brackets & fork gaiters. With the help of Enzo, my good friend & fellow Parilla enthusiast, we have located the forks & the missing clipons. 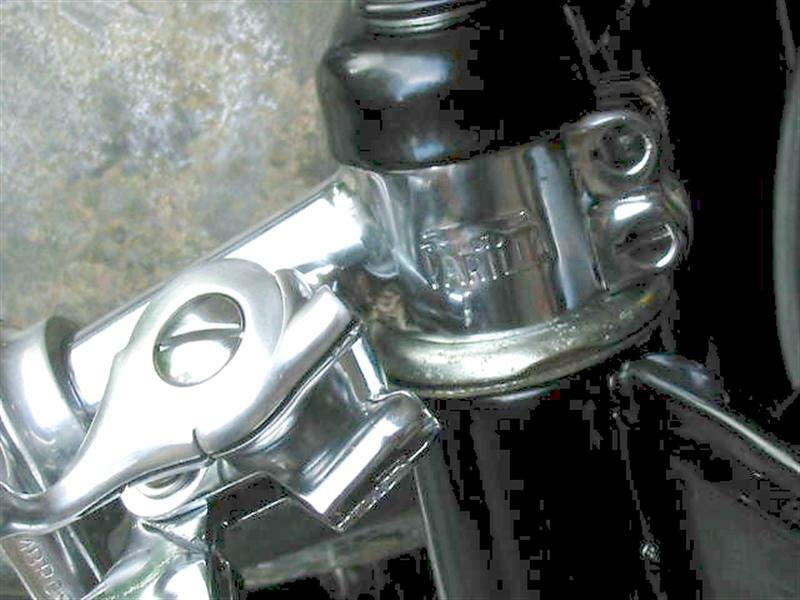 The clipons needed replating along with seal holders, the fork tubes were hard chromed, sliders yokes & headlamp brackets powder coated. As many original fasteners as possible were located & replated. Dry assembly prior to refinishing ensured no upsets when all came back shiny. 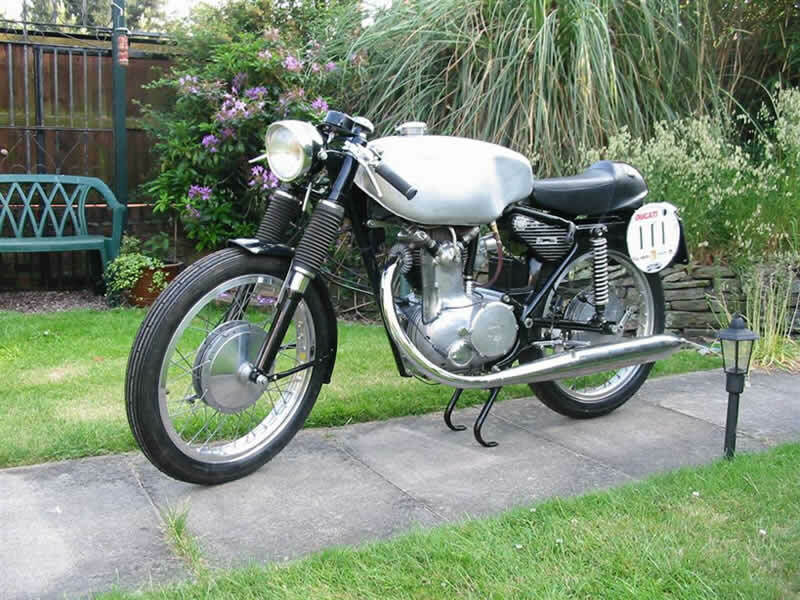 As well as the forks the headlight was replaced by a “flat back” 130mm unit & a neat NOS “peaked” chrome rim. A “D” shaped rev counter & OE bracket completed the front end. 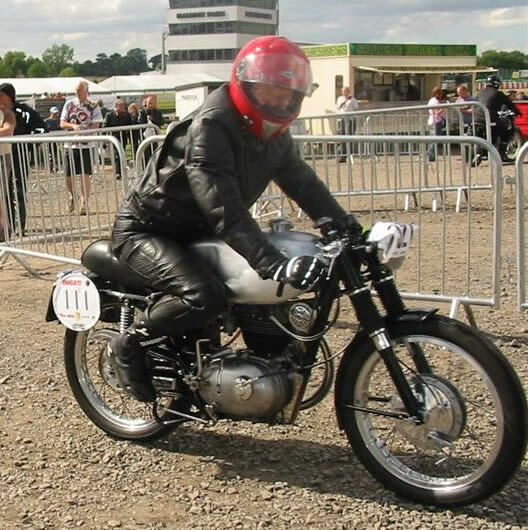 The bikes first outing was at Mallory Park in July ’07 at the Festival of 1000 Bikes. Despite the sun in the picture, the weekend was virtually a washout. A) One should ensure that all gears are selectable before venturing out onto the track. B) Fitting a huge silencer is very likely to bugger up the carburetion settings made for the bike to run on a straight pipe. C) A 175 MSDS is one of the best ways to embarrass Brit bike owners on 250/350 4st singles. The restoration to standard is not yet complete. The alloy tank is to be replaced by an OE steel MSDS/GS tank. A NOS one came to light in the UK & it’s been repainted locally to a template given to me by PJ in the USA. Not sure it’s 100% right for a 175 but I like it. 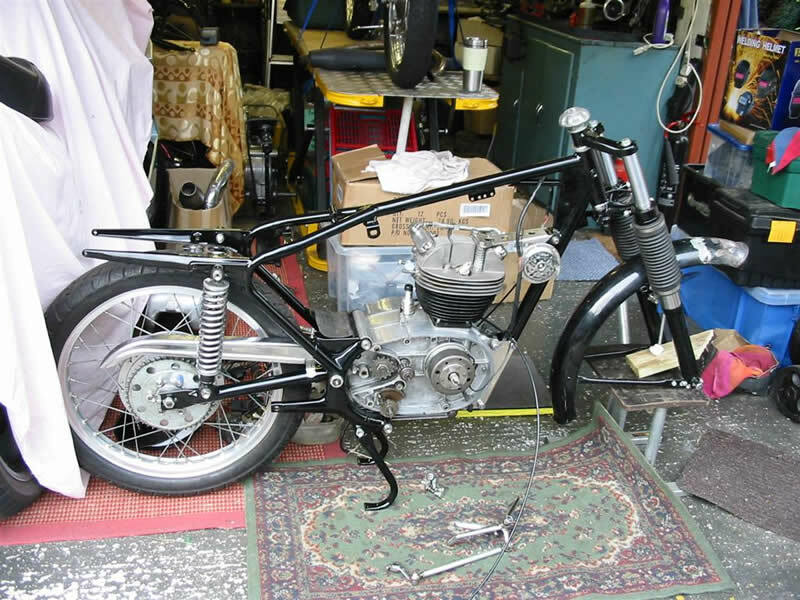 It’s not been fitted yet but neither has the correct seat, 22.5mm SS1 carb, battery retaining clamp….and a host of other details which I will attend to over the winter. Along with rebuilding the Wildcat 250, 250 race bike, 175 Ts &..&..&…. More when there is progress.